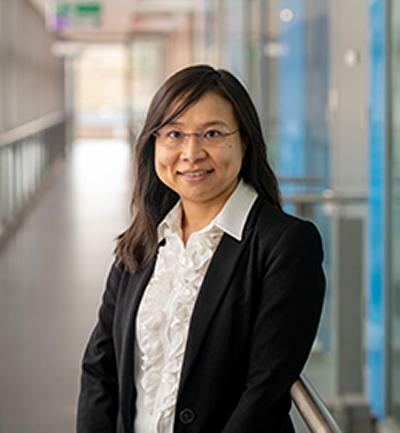 Dr Mee Chi So is an Associate Professor within Southampton Business School at the University of Southampton. Dr Meko So is an Associate Professor with expertise in credit scoring and marketing analytics. I obtained my first degree and a master’s degree major in Operational Research from the University of Hong Kong. In 2009, I completed my Ph.D. at the University of Southampton. In my Ph.D., I collaborated with two large banks in UK and Hong Kong to look at how to derive optimal credit limit strategies for credit card lenders. In 2011, I took up the position as a Research Facilitator at the University of Southampton. Since 2013, I have taken up the Lecturer position. Apart from my academic education and experience, I was a CRM analyst in B&Q and a market research analyst in the international company IDC. Throughout my career, I have developed expertise in predictive analytics, consumer credit risks and marketing analytics. I am particularly interested in using large-scale real-application datasets to deliver actionable insights for organisations. I have participated in a number of consultancy or MSc projects to collaborate with a wide range of organisations such as the UK Financial Conduct Authority, Global Radio, Lloyds Banking Group, United Health, etc. In 2014, I was awarded a Knowledge Transfer Partnership (KTP) grant (£142,000) funded by Innovate UK for a two-year project to work with the company AppLearn to deliver an analytical software product measuring employees’ adoption and engagement. In 2015, I was awarded a research grant by EPSRC (£375,755, FEC) for a 30-month project 'Dynamic pricing in the ferry industry'. This project aims to develop a set of models to estimate the ticket prices which maximise revenue for ferry operators. Through working with P&O Ferries and Red Funnel, this project will use real data to inform the models. I have taught both undergraduate and postgraduate level courses. I was a visiting lecturer at Department of Mathematics of Cardiff University teaching a postgraduate module Credit Risk Scoring. I am one of the investigators of a bid awarded by Her Majesty’s Revenue and Custom (HMRC) to deliver Master’s level quantitative skills courses to the employees of HMRC. I am welcoming PhD applications to study the above topics, or other topics in the predictive analytics, marketing analytics and consumer credit risk areas. If you would like to pursue a PhD degree and are interested in applying mathematical and statistical techniques in application-oriented topics, please feel free to contact me. Moreover, I work together regularly with my colleagues (including, Bart Baesens, Kasia Bijak, Cristian Bravo, and Christophe Mues). We welcome any students who are interested in studying a PhD degree with our joint supervision. So, M., Mues, C., & Thomas, L. C. (2019). Debtor level collection operations using Bayesian dynamic programming. Journal of the Operational Research Society. So, M. C., & Thomas, L. C. (2010). Modeling and model validation of the impact of the economy on the credit risk of credit card portfolios. Journal of Risk Model Validation, 4(4), 93-126. Ching, W. K., Ng, M. K., & So, M. C. (2004). Customer migration, campaign budgeting, revenue estimation: the elasticity of Markov decision process on customer lifetime value. Advanced Modeling and Optimization, 6(2), 65-80. Chu, S. C., & So, M. C. (2003). Generation of fixed-length duties by GP formulation. International Journal of Applied Mathematics, 13(1), 9-21. So, M. C., Thomas, L. C., Mues, C., & Seow, H-V. (Accepted/In press). Estimating the profitability of transactors and revolvers. Paper presented at Credit Scoring and Credit Control XIV, United Kingdom. So, M. C., Thomas, L. C., & Huang, B. (Accepted/In press). Modelling the lending decision with limited capital. Paper presented at Credit Scoring and Credit Control XIV, United Kingdom. Thomas, L. C., & So, M. C. (2014). Lending decisions with limits on capital available. Paper presented at 20th Conference of the International federation of Operational Research Societies, Spain. Mues, C., Thomas, L. C., & So, M. C. (2014). Loan recovery modelling: challenges for predictive and prescriptive analytics. Paper presented at 20th Conference of the International federation of Operational Research Societies, Spain. So, M. C., Thomas, L. C., & Seow, H-V. (2013). Improving credit card pricing by combing default and transactor/revolver regression models. International Conference on Computational and Financial Econometrics, United Kingdom. So, M. C., De Almeida Filho, A., Mues, C., & Thomas, L. C. (2013). Modelling the collections policy. Paper presented at Credit Scoring and Credit Control XIII, United Kingdom. So, M. C., Thomas, L. C., & Seow, H-V. (2013). Using a transactor/revolver scorecard to make credit and pricing decisions. Paper presented at Credit Scoring and Credit Control XIII, United Kingdom. Jung, K. M., Thomas, L. C., & So, M. C. (2013). When to rebuild or when to recalibrate scorecards. Paper presented at Credit Scoring and Credit Control XIII, United Kingdom. Seah, Y., So, M. C., & Thomas, L. C. (2012). Forecasting the stress of credit card portfolios. Paper presented at INFORMS Annual Meeting 2012, United States. So, M. M. C. (2011). Stress testing the credit limit policy. Paper presented at Credit Scoring and Credit Control XII, United Kingdom. So, M. M. C. (2011). The impact of the economy on credit card risk. Paper presented at IFORS2011: 19th Triennial Conference of the International Federation of Operational Research Societies, Australia. So, M. C., & Chu, S. C. K. (2008). A multi-objective programming approach for credit applicant classification. Paper presented at 8th International Conference on Multiple Objective and Goal Programming, United Kingdom. So, M. C., & Thomas, L. C. (2007). Choosing credit limits to maximize profit: Markov Decision Process approach. Paper presented at Symposium on Risk Management in the Retail Financial Services Sector, United Kingdom. So, M. C. (2007). Optimizing credit limit policies to maximize customer lifetime value. Paper presented at Operational Research Peripatetic Postgraduate Programme – ORP3, Guimaraes, Portugal. So, M. C., & Thomas, L. C. (2007). Optimizing credit limit policies to maximize customer lifetime value. Paper presented at Credit Scoring and Credit Control X, Edinburgh, United Kingdom. So, M. C., & Thomas, L. C. (2006). Behavior score model: an essential competitiveness tool. Paper presented at INFORMS Hong Kong 2006 International, Hong Kong. Panayides, P. M., & So, M. C. (2004). The impact of relationship marketing orientation on learning efficiency and performance in supply chains. Paper presented at 33rd European Marketing Academy Annual Conference - EMAC 2004, . So, M. C. (2003). Dynamic programming with priority models for production planning with a central warehouse. Paper presented at ORG Student Seminars, . So, M. C., & Ng, M. K. P. (2000). An approximate dynamic programming technique for production. Paper presented at INFORMS San Antonio 2000, United States. So, M. C., & Thomas, L. C. (2009). Modelling the profitability of credit cards by Markov decision processes. (Discussion Papers in Centre for Operational Research, Management Science and Information Systems; No. CORMSIS-09-09). Southampton, GB: University of Southampton. So, M. M. C., & Thomas, L. C. (2007). Optimizing credit limit policies to maximise customer lifetime value. (Centre for Operational Research, Management Science and Information Systems Working Papers; No. CORMSIS-07-06). Southampton, UK: University of Southampton.